Hosted by Deborah Norville, Fluent Reading explores the ability to decode quickly and achieve fluency. The program also demonstrates how early testing and intervention can help struggling readers. Features children's book author and illustrator William Joyce (George Shrinks). 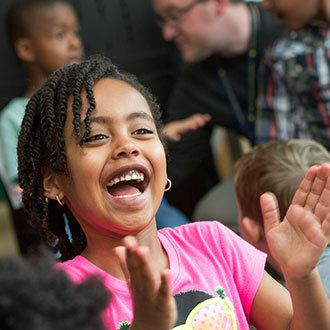 This program is the third episode of Launching Young Readers, WETA's award-winning series of innovative half-hour programs about how children learn to read, why so many struggle, and what we can do to help. Fluency means being able to decode individual words accurately and quickly… and understand the words as you read them. This is a crucial skill. A child who reads haltingly will work so hard at the mechanics of the task that there's little mental energy left to understand the meaning. An after-school program called RAVE-O helps to teach reading fluency in Malden, Massachusetts. At Sudduth Elementary School in Starkville, Mississippi, Tina Scholtes teaches first graders a handy spelling pattern that helps them recognize word clusters. 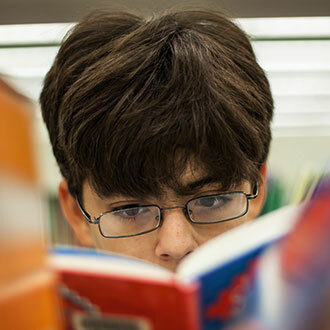 A research lab at the University of Massachusetts, Amherst, investigates what good readers do with their eyes. The Charlottesville, Virginia, school district has started an innovative community volunteer program called Book Buddies. Six-year-old Trey now has a book buddy who will work with him twice a week during his first-grade year. Writer William Joyce (George Shrinks) talks about the people and places that have inspired his work. At the Stern Center in Williston, Vermont, struggling students get a leg up on reading and other skills. At Fort Pitt Elementary School in Pittsburgh, a second grader named Azeeza gets reading help from a dedicated mentor — a software program called The Reading Tutor. How Fluently Do Our Children Read? Announcer: Funding for the Reading Rockets Launching Young Readers series was provided by the United States Department of Education, Office of Special Education Programs. Deborah Norville: Hi, I'm Deborah Norville. Today I'm interviewing a well-known reading expert and librarian here from the PBS kids show "Between the Lions" is Theo Lion. Theo Lion: Hi, Deborah. Boy, I'm a big fan of yours. I've always lionized you. Deborah: Thank you. So Theo, tell me what is reading fluency? Theo: Oh, Deborah, if I may, I've actually prepared some remarks on the subject. Hamburger, steak, lamb chops. Oh, I'm sorry. That's my shopping list. Oh, yeah. Here we go. Yes. Fluency is the ability to read quickly and easily. It means you can decode individual words accurately and automatically and understand those words as you read them. Much as I did just now. Deborah: Yes, you really read that with feeling. Cathy MacDonald: Good afternoon, Word Wizards! Welcome back to RAVE-O. Deborah: Teacher Cathy MacDonald leads a daily after-school class for second- and third-grade struggling readers at Salemwood Elementary. Cathy: We're going to start off today by doing the Word Web. Deborah: This reading program, called RAVE-O, directly targets fluency-the ability to read aloud without hesitations or false starts and with good inflection that can only come from understanding the text. 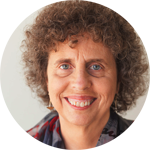 Dr. Maryanne Wolf: The RAVE-O program was the direct outgrowth of our understanding that at least two-thirds of the children were actually not receiving any emphasis at all on fluency. So the RAVE-O program was really specifically designed to have the children not only be able to decode but decode rapidly and with comprehension. Cathy: If I were to go out, and I were to see someone with a bat, where might I see someone using one? Danny? Deborah: Today Ms. MacDonald is exploring the different meanings of a single word. Cathy: Does anyone know a very popular baseball team around here? Rudy! Cathy: The children come here after a full day of school and you would assume that they would be tired of reading and learning but when they enter the classroom it's a whole new experience and they come in ready to learn and very excited. And the fact that the skills are things that they can accomplish and they look at themselves in a whole new way. They look at themselves as readers. Deborah: Organized around one core word a week, a tool called a "word web" makes multiple meanings easy to grasp. Kids expand the web by adding words or phrases with related meanings. Cathy: Let's move on now to this kind of a bat. Casey? Cathy: And where does a fruit bat go, Casey? Where would you find it? Casey: Um, at a fruit tree. Cathy: At a fruit tree, uh huh. Do you know what they call animals that are asleep during the day and are up at night? Give it a try, go ahead, Chevere. Cathy: You are correct!! Nocturnal animals. Excellent! Deborah: A rich knowledge of words helps build fluency. Dr. Wolf: Fluency is one piece of the entire process. The more rapid you are, the more time you can actually allocate to understanding what you've read. Dr. Reid Lyon: It's like riding a bike. You watch little ones beginning to ride a bike, they're wobbling all over the place. They fall down. They don't have the process well consolidated. But as we go along as kids and we begin to practice and practice and practice riding a bike, we don't even think about peddling anymore until it gets hard. We don't think about keeping the bike straight and we can ride with no hands. Deborah: RAVE-O combines vocabulary-building exercises like the word web with lessons specifically designed to speed up decoding. 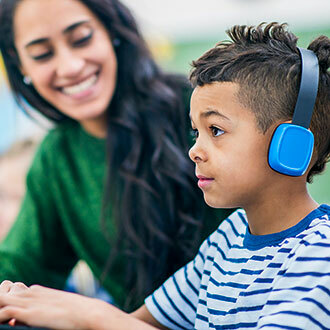 These two ingredients are the key to any good fluency program, and sure enough, this after-school program has produced big gains in fluency. Cathy: Boys and girls, look at all of the words we came up with from one little word "bat." Deborah: All kids must learn the correspondence between individual letters and sounds. But the next step is critical: understanding that certain groups of letters are pronounced alike in families of words. 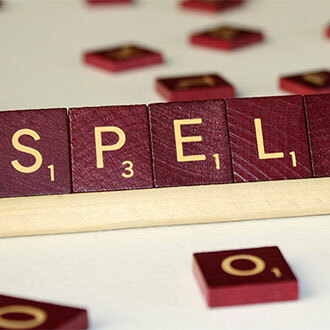 Deborah: Fast decoders rely on common spelling patterns. And it's only when you decode quickly that you can become a fluent reader. Deborah: At Sudduth Elementary School, Tina Scholtes is teaching her first-graders about a handy spelling pattern. Tina: And we can change "fight" to…everybody look. Tina: Very good. And we can change "might" to…don't say it 'til I write it. Dr. Barbara Foorman: In the beginning of reading, teachers will teach individual letter-sound connections and then they'll start to focus on groups of letters, vowel teams or consonant clusters, and eventually they'll even move to larger chunks of words that may be at the syllable level or there may be prefixes or suffixes and the teachers trying to get the child to move to larger and larger units which eventually include the whole word. So that the child can quickly and automatically recognize the word at a glance so that they're able to pay attention to the meaning of the story. Tina: Ok boys and girls, you know, Ms. Scholtes has told you, that sometimes you can learn many many words by just knowing one word, and that's what we're doing when we know the word "fight." We can change the beginning sound and you will know a new word. Tina: For example, a word that is not even right here that I guarantee you you can read is this word. What is that? Tina: For my children to be able to look at words that end in "ight" and figure out new words is a big step, because "ight" is an ending cluster for a whole group of words. They run into words that end in "ight" all the time. 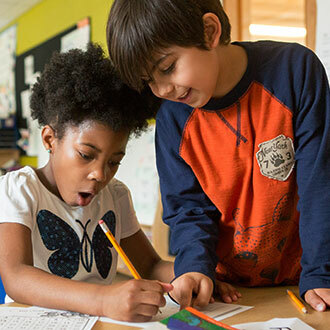 Deborah: Thanks to this lesson, these first-graders are moving beyond letter-by-letter decoding. By learning to read common letter groups at a glance, they're taking a big step toward fluency. Lindsey Buckley: We are reading a new book. And I have one little girl who's just really struggling with the book. And she's trying to sound out some of the words. But she's just having some problems. And so about halfway through the book, she just closed the book. And she slid the book across the table to me and said, you know what, Ms. Buckley? I don't need to know how to read this book. Because I'm going to be a supermodel. And whenever I'm a supermodel, I don't have to read these books. Deborah: Reading is one of the most dazzling mental skills that people learn. We seldom think about just how much is involved. Our eyes move from left to right in a series of quick leaps, resting or fixating on a word for a sliver of a second before moving ahead. Researcher: Okay. If you could look straight ahead, please. Deborah: At the University of Massachusetts, a research lab is investigating what good readers do with their eyes. 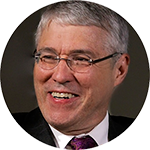 Dr. Keith Raynor is director of the lab. Keith Raynor: I've spent my life using eye movements as a way to understanding reading and seeing perception and visual search and other things. Because it seems to me that eye movements are a very good indicator of the mental processes that people engage in. Researcher: Okay. Could you look at the upper right hand corner of the screen, please? Deborah: Dr. Raynor has found that skilled readers take in information from a surprising small area around the fixation point. Three or four letters to the left of fixation and about fifteen letters to the right. Dr. Steve Pinker: Simply because of the physical wiring of the eye, you don't get much detail outside the point that you're looking at. You can try this experiment for yourself. Hold out your hand just a little bit off the line of sight and you won't even be able to count your own fingers. That's how fuzzy it gets. So if you need fine detail, whether you're looking at, you know, a P or a Q or an H or a J, your eye has got to land right on the word. And indeed, studies of eye movements and reading have shown that good, even skilled rapid readers pretty much land on every content word. Deborah: Good readers seldom backtrack. They fixate on each word for a quarter second before leaping ahead eight or nine letters. Researcher: Look straight ahead, please. Deborah: Good readers are highly systemic. Younger, less skilled readers, spend more time on each word. They leap ahead shorter distances. And they backup more often. Dr. Raynor: They're going much slower. Because they're having much more difficulty in coding what the words are that they look at. Deborah: Though they are slower, young readers follow going same pattern as adults. They don't hunt around the page for context clues, but instead decode one word at a time as their eyes move methodically across the text. Deborah: The Johnson School has many kindergarteners at-risk for reading failure. So the school district has started an innovative community volunteer program called book buddies. Trey: Where are you going? Deborah: Six-year-old Tray is one of twenty kids who've been assigned a reading tutor, a book buddy, who will work with him twice a week during his first grade year. Gail Rubin: One of my rewards is going to the playground to pick him up twice a week and seeing him run towards me with a big grin on my face. It makes my heart sing. Gail: There's my book buddy Trey. How are you? Deborah: Trey's book buddy is Gail Rubin, now in her sixth year of volunteering. Gail: Want to play a rhyming game on the way? Deborah: New volunteers get a three hour course in the program and also watch and expert model the tutoring. Like Melville Krebs, the book buddy's coordinator at the Johnson School. She tailors two-45 minute lessons a week for each of the kids in the program. Melville Krebs: Trey began the year as a total non-reader. And he's learned just about everything that has been taught him along the way. Gail: Hi, Trey. Let's get started with the familiar books. Which one would you like to read first? Deborah: A book buddy session begins with the child reading a familiar text. Rereading is a great way to build fluency and comprehension. Gail: That's a tough word. Deborah: After a systematic phonics lesson, Trey practices reading words with the sounds he has learned. Gail: There's no L in there. So it's? Gail: Quit. That's wonderful. All right. I don't supposed you'd like to play a game. Gail: All right. I think we can find one in here. Deborah: What looks like a game to Trey is a continuation of the phonics lesson. Trey must identify the pictured objects and then spell their names. Gail: Okay. Truck. Time to choose a book to take home to read to your mom. Which one is it going to be? Trey's mom: What's the name of it? Trey: Quick as a Cricket. Deborah: Book buddies has put together everything researchers know will help struggling readers. Parental support, systematic phonics, good children's literature and lots of individual attention. Trey: I'm as slow as a snail. I'm as slow as a basset. I'm…p; I'm as…tame. Deborah: First graders are selected for book buddies because they are far behind their peers. But thanks to community help, by the end of the year, a remarkable 85 percent of them will be reading at grade level. Trey: Put them all together and you've got me. Theo: Just as in the sky at night, there are many stars that shine. A kid can stand out in many ways and feel happy all the time. Wow. Boy, Deborah. You're a really good writer. Deborah: Oh, thank you, Theo. That means a lot to me coming from a critic like you. Theo: Yeah. Well, you know, writers are really important. Without them, readers would have nothing to read. And we wouldn't have had anything to say today. Because a writer wrote what I just said. And what I just said now. And what you're going to say next. Deborah: Deep, Theo. Very deep. Theo: Deborah Norville thinks I'm deep. Deborah: William Joyce, the author of "George Shrinks" and "Rolly Polly Olly" says the best children's books have a frisky, subversive intelligence. In Joyce's words, anything can come alive, stuffed animals, toys, even forks and spoons. William Joyce: I grew up in Louisiana. And it wasn't exactly a hub for artistic endeavors. Luckily enough, I had some really great teachers that guided me and really just like said this kid loves what he's doing. He loves to draw. He loves to make up stories. And that's unusual. So let's encourage it. Let's not bury it. And if I hadn't had those teachers doing that, I wouldn't be doing this. My two like heroes of childhood, the two things that got me on the road of doing children's books or stories, were "King Kong" and "Where the Wild Things Are." William: There's so much of "George Shrinks" that evokes King Kong and even wild things. And I just took the idea that King Kong was too big for everything and reversed it. And put George in the land of giants. Which is basically what every kid goes through anyway. Towards the end, there's an illustration where you can see a little stuffed King Kong doll in the background sitting next to a little Empire State Building. Rolly Polly Olly for me is like Leave it to Beaver with robots. I guess Rolly Polly Olly is a show entirely made up of wouldn't it be cool if? Wouldn't it be cool if your dad had a machine that could make things shrink and grow. And that you one day when you're not supposed to make yourself really, really small. William: Almost everything in the day with Will Robinson has some basis in truth. Yes, my sister did pay me to feed her grapes while she talked to her boyfriend on the phone. In the book, it is a frog with a turbine that's feeding the sister grapes while she talks to her boyfriend on the phone. My grandfather had false teeth and a glass eye. I had an uncle who swore he was from outer space. And he was so convincing. Why would a grownup lie about that? My kids have been a constant source if not inspiration, co-conspirators in my work. They usually find out after the fact. Books not printed in the store. Oh, look. There's me. They don't seem to mind. I even put myself in there occasionally. Though, taller and, you know, with more hair. Deborah: At the non-profit Stern Center, struggling students can get a leg up on reading and other skills. Dr. Andrea Brown: Okay, good. Now I'm going to have you read a list of words as fast as you can. Deborah: Stern Center's Director of Diagnostic Services, Dr. Andrea Brown, has been doing an in-depth assessment of 10-year-old Becca ever since her public school teacher noticed she was falling behind. Because Becca is a slow decoder she has difficulty in comprehending what she reads. Dr. Brown: Okay, ready? Start. Blanche Podhajski: This is a youngster with intelligence in the 90th percentile. Who's doing math at the 94th percentile but reading at the 12th percentile. Deborah: Reading researchers now know that a high IQ does not guarantee reading success. Deborah: By assesing Becca frequently, the Stern Center can tailor the instruction to meet her needs. Ongoing assessment is a tool teachers should use for all children. Dr. Reid Lyon: The teacher needs to understand how to diagnose difficulties, that requires assessment. How does that youngster link the sounds to the letters? How are the phonics skills coming along? How many words per minute can the kid read, fluency? All of those require a form of assessment or testing and teachers have to do that continuously. You cannot let people move along in a complex activity doing things wrong. You've got to catch it while it occurs and fix it. Deborah: The last test will assess Becca's reading comprehension. Extracting meaning from text is, after all, the ultimate goal of reading. Deborah: Any trouble Becca has understanding this passage can likely be blamed on her slow reading. Poor readers exhaust their mental resources decoding words and holding them in memory. Little is left for understanding what the words mean. Deborah: Better fluency leads to better comprehension. Becca: …they both had a good laugh. Dr. Lyon: Not being able to read just isn't an academic issue. It's a, an emotional issue. It's an a-a motivational issue, it's very dear to the kid. Consider: kids who come into the first grade in particular and second grade and third grade. Their job is to read and they read out loud a great deal, they read in groups. Well if you don't do that well and that's the job of schooling, the major job, and people think you're stupid if you sound like you don't know how to do it, it doesn't take very long to begin to withdraw from that practice. Kids aren't as resilient as we thought. Deborah: With the help of excellent tutoring and lessons informed by assessment, one struggling reader is on the road to fluency. Dr. Brown: …or D, did not know how to cook fish. Becca: B, liked to have fun with, with the boy. Computer: First click on your name. Deborah: At Fort Pitt Elementary School, a second grader named Azeeza gets reading help from a dedicated mentor. Computer: Choose a story to read. Deborah: Software called the reading tutor listens to Azeeza and offers help. Deborah: The reading tutor is part of a new wave of computer software now being used to supplement classroom instruction. The system's designer is Dr. Jack Mostow. Dr. Jack Mostow: It is very easy to explain in four words. Children read, computer listens. 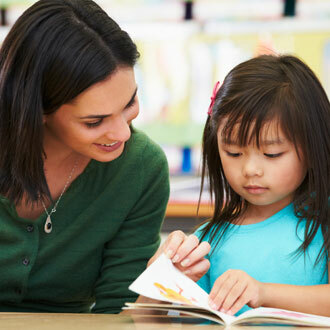 What the reading tutor provides is lots of infinitely patient assisted practice in oral reading. And that's a missing ingredient for all too many children whose parents or teachers don't have time or in some cases ability to listen to them read aloud. Deborah: When Azeeza gets stuck, the reading tutor can sound out a tricky word. Computer: You're a great reader. Deborah: To keep young readers interested, the computer can offer a variety of clues. Deborah: Getting a computer to understand spoken words is a big challenge. The reading tutor software must cope, just like our ears and brains, with the fact that the same word can be pronounced in different ways. Various: Old Mother Hubbard. Went to the cupboard. Cupboard. Cupboard to get her. To get her poor dog. Poor dog a bone. Bone. Bone. But once she got there. The cupboard was bare. Bare. Bare. And so the poor dog had none. Had none. Had none. Deborah: Isolating the sounds of speech is difficult even for high powered computers. No wonder children sometimes struggle as they try to develop phonemic awareness. Computer: Let's read this sentence together. Deborah: But with help from the reading tutor, Azeeza is making good progress. Barbara Prevost: Azeeza came to me at the beginning of the year pretty much a non-reader. She had a very limited sight vocabulary. She was very insecure about her reading. A very reluctant reader. She's ready to take a challenge now. She'll try anything. She loves to read. Deborah: One of the first to test Mostow's technology, Ms. Privo wasn't thrilled about the idea at first. But she's become a supporter. Barbara: It's a part of the classroom environment. The kids move back and forth from it without it interrupting any of our routines. It's become a friend more than a threat. Which it was at the very beginning when I first started to use it. Deborah: The system is now running in twenty classrooms around Pittsburgh. And Mostow's studies indicate it's working. Dr. Mostow: When I explain these results to the principal in my long-winded academic way, she boiled it down beautifully. The children who use the reading tutor were closing the gap. Azeeza: And so the poor dog had none. Computer: You're a fantastic reader. Deborah: So tell me, Theo, as fluently as possible, what's your final word on the subject? Theo: Well, I'll tell you, Deborah, this show has given us a lot to chew on. You know, I think a lot of people don't realize what a challenge teaching reading can be. Deborah: A famous reading expert once said teaching reading is rocket science. Theo: That's right. It takes precise proven strategies to launch a kid. Into reading. Deborah: To learn more about how you can help a child learn to read, visit our website. And thanks for watching. And thank you, Theo, for joining me. Theo: Oh, thanks for having me, Deborah. Hey, you should come visit us on Between the Lion sometime. Deborah: I would love to. And I promise I'll read my lines fluently. Announcer: To learn more about Reading Rockets Launching Young Readers and how you can help a child learn to read, visit PBS online. 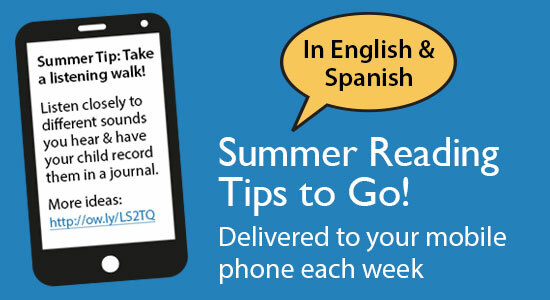 You'll find tips for parents, classroom strategies for teachers, and profiles of children's book authors, all at PBS.org. Announcer: Funding for the Reading Rockets Launching Young Readers series was provided by the United States Department of Education, Office of Special Education Programs. You may order the five part Reading Rockets Launching Young Readers series on VHS or DVD. Individual episodes are also available on VHS. To order, call 1-800-228-4630.